The sleeping area. The door handle on the wall provides access to the en-suite bathroom. 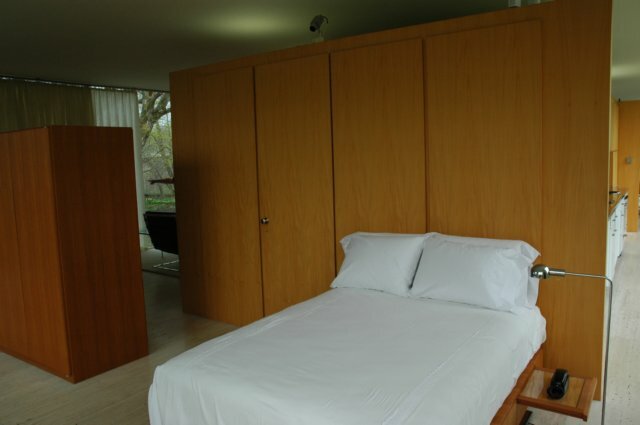 The low wardrobe at left is not part of the original design, and while every attempt has been made to make it sympathetic, it is out of place.